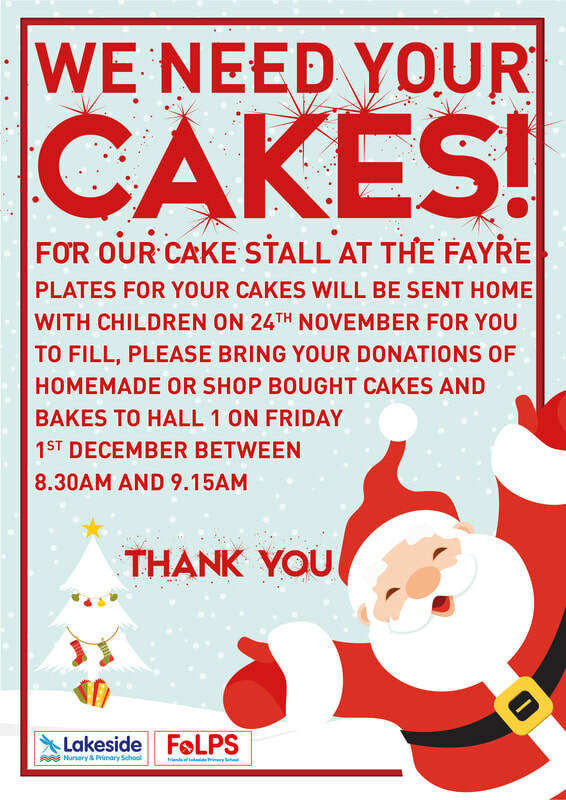 Please can we have donations for the cake stall - either bought or homemade. They can be bought to school on the morning of the fayre. Our amazing Christmas Fayre takes place on Friday 1st December from 3.15pm until 5pm. 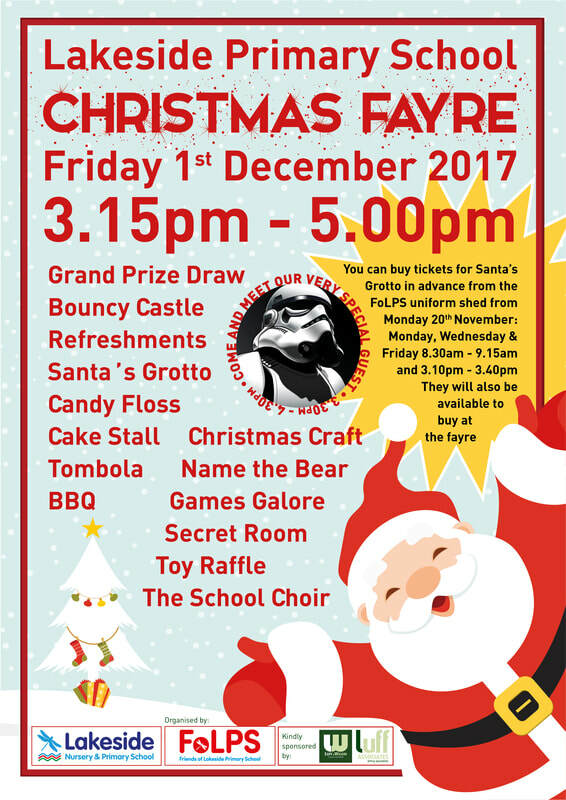 We will be having the hugely popular Santa's Grotto, the Grand Prize Draw, a bouncy slide, refreshments, candy floss, popcorn, cake stall, crafts, the Secret Room and all the usual games as well as a few new ones. The Storm Trooper will be making an appearance again for photos opportunities and the School Choir will be performing. Tickets can be bought from the Uniform Shed on Mondays, Wednesday and Fridays between 8.30am and 9.15am and also between 3.10pm and 3.40pm. We are also asking for Jolly Jar donations. What is a Jolly Jar? It's a jar filled with goodies like sweets, chocolate, small toys, stockers, erasers, things you might find in a party bag etc. Try and make your jar appeal to both boys and girls. You can decorate your jar and the best decorated one will win a voucher for The Entertainer. 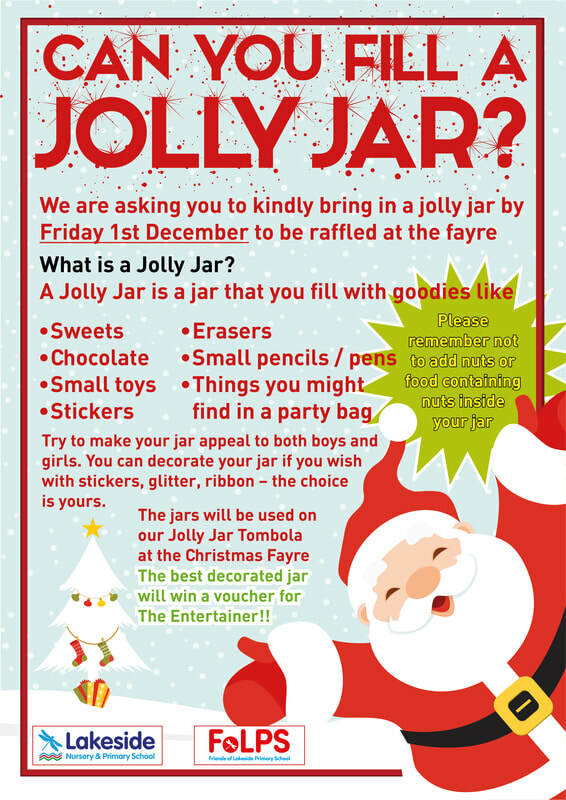 The jars will be used on our Jolly Jar Tombola at the fayre.